The CCP wants to forge a strong nation by ruthlessly eliminating differences of culture, religion and ethnicity. What makes a nation strong? Nineteenth-century Chinese intellectuals were consumed by this question as they witnessed the decline of a once-dominant empire. Over a century later, the need to bolster internal cohesion and to project strength abroad motivates China’s current leaders more than ever before, especially as the head-rush pace of modernization that marked the last three decades slows. Enjoying this article? Click here to subscribe for full access. Just $5 a month.This, they believe, requires a homogenous citizenry, where differences of culture, religion and ethnicity — not to mention political viewpoints that could challenge one-party rule — must be erased. Uyghurs (a predominantly Muslim, Turkic people) and Tibetans, who together still make up the majority of China’s westernmost regions, bear the brunt of these systematic efforts to erase ethnic identity. Any pretence of tolerance for these communities has now disappeared. In its place is the pervasive criminalization of cultures and religions where the goal of “national cohesion” is seen to justify the means. The human cost was laid bare at the United Nations this week. Gay McDougall, a member of the UN Committee on the Elimination of Racial Discrimination, said the mainly Muslim Xinjiang Uyghur Autonomous Region (XUAR) is today a “no rights zone” – with estimates of up to 1 million people held in counterextremism centers. Yet the XUAR today is characterized by omnipresent high-tech surveillance, the expansion of mass “education” camps, heavily armed street patrols, ubiquitous security checkpoints, and other intrusive policies violating human rights. 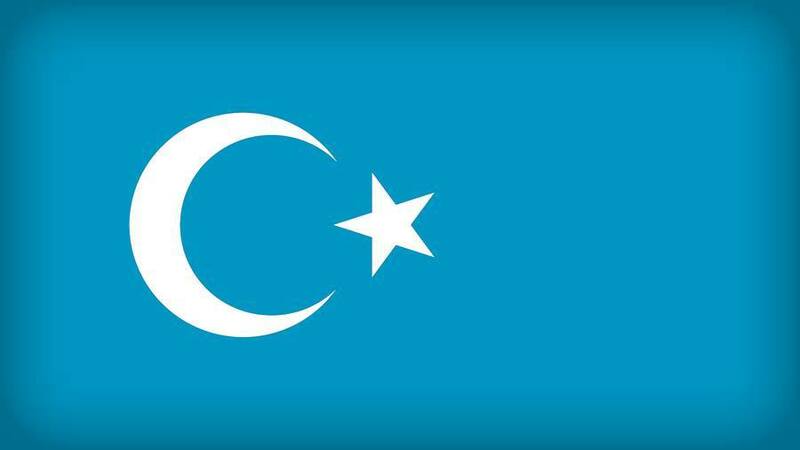 The use of the Uyghur language is suppressed and many Muslim cultural and religious practices are banned. The wearing of the burka or having an “abnormal beard” are considered “extremist” and prohibited under so-called “de-extremification” regulations. Various restrictions have been implemented by local authorities: families are required to hand in copies of the Quran and other religious items to the government; children with Islamic names have been ordered to get a new moniker; students are no longer permitted to observe Ramadan; people found praying or in possession of religious books are sent to “education” camps – an Orwellian label for what is the mass internment of Muslim Chinese. The marginalization of Uyghur culture starts at school. By 2020, the XUAR government is aiming for more than 90 percent of minority students to receive “bilingual education.” In practice, this means that Mandarin Chinese is the general language of instruction, while their own Uyghur language is relegated to being merely one of the subjects taught. The Dalai Lama is branded a “separatist force” and it is illegal to hang a portrait of him or pray together for him. Thousands of government officials have been stationed in monasteries to enhance surveillance of monks and their families. To marginalize Tibetan Buddhist monks’ links with the community, monasteries are prohibited from undertaking many traditional roles, such as teaching Tibetan language courses. Policies like these may very well succeed in erasing the traditional identities of specific minority groups in China. However, this will not equate to forging a stronger national whole. Experience shows that those who suffer systematic, state-sponsored discrimination like that being experienced by Uyghurs and Tibetans are more likely to coalesce around new identifications based on disenfranchisement and resentment. Meanwhile, the repertoire of repression and surveillance trialled in these two regions will shift to an ever-growing number of other “suspicious” segments of Chinese society. This is an unending quest for a uniform, obedient citizenry, that never questions the wisdom of the Great Helmsman, as the official press is starting to refer to Xi. Too often, leaders believe they can achieve strong, unified national identity by encouraging exclusion and intolerance. They believe that their success at mobilizing fear of people who do not look, speak, or worship like the majority will be the glue that binds the nation together. They are mistaken. The answer lies not in fearmongering and erasure, but in equality and non-discrimination. What will make Uyghurs, Tibetans, and others feel they are part of the Chinese nation is being treated like full citizens, with equality before the law and human rights that are protected and respected by the state. States thrive by embracing diversity and treating all citizens – racial, ethnic, linguistic, religious, and other minorities – with dignity, respect, and equality before the law. To forcibly suppress differences to try to impose a uniform national identity upon people has historically been a path to conflict, chaos and large-scale human tragedy. It is not too late for China to change tack — heeding the advice of the United Nations would be a good place to start. Nicholas Bequelin is East Asia Director at Amnesty International.